From Interstate 40 take Highway 22 north towards Huntingdon. 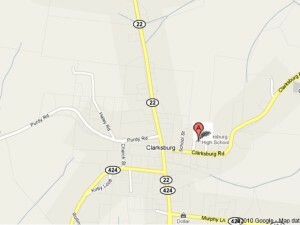 Once you enter Clarksburg turn right on to Clarksburg Road. School is located on the left side of the road. From Huntingdon take Highway 22 south towards Interstate 40. Once you enter Clarksburg turn left on to Clarksburg Road. School is located on the left side of the road.